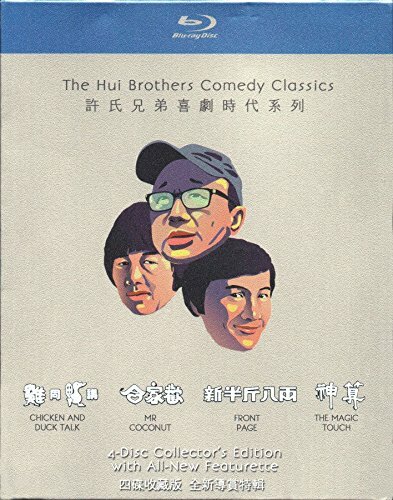 The Hui Brothers Comedy Classics 4 Movie Collector's Edition Blu-ray Boxset (Region Free) (English Subtitled) Digitally Remastered by Y2K Vision Ltd. (HK) at Chocolate Movie. Hurry! Limited time offer. Offer valid only while supplies last. Languages: Cantonese, Mandarin / Subtitles: English, Traditional Chinese, Japanese, Italian / Synopsis: (1) Chicken And Duck Talk (1988) (2) Mr. If you have any questions about this product by Y2K Vision Ltd. (HK), contact us by completing and submitting the form below. If you are looking for a specif part number, please include it with your message.